Every designer, artist, writer, blogger, teacher, dreamer needs one of these! Like magic wands, there is so much history in one simple, little piece of jewelry. 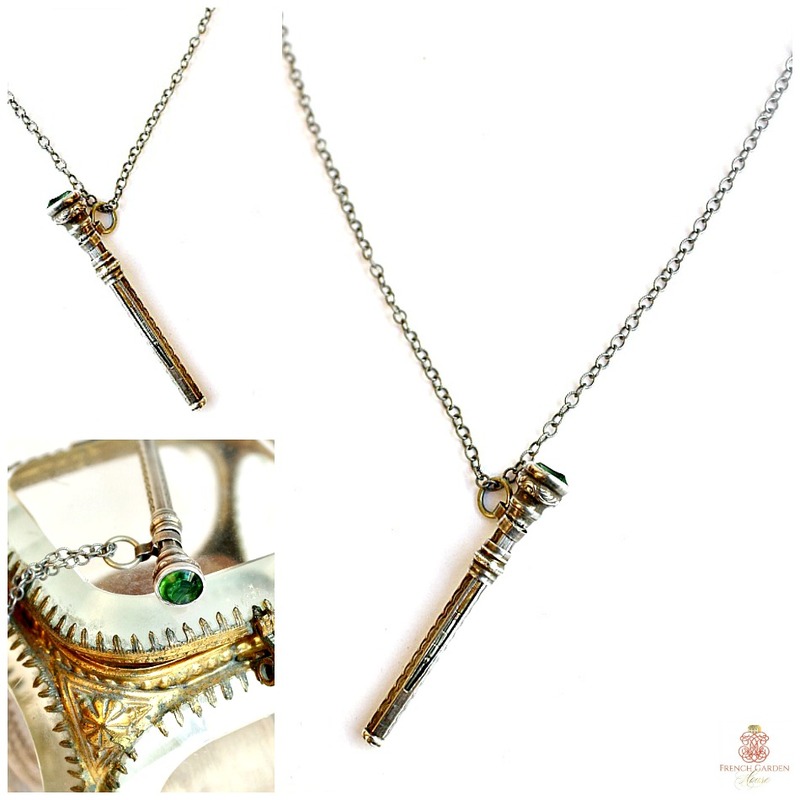 Wear the history and charm of the very early 1900's, this lovely lady's chatelaine pencil is set with a stunning emerald green faceted glass capstone. Beautiful, and one-of-a-kind, the diminutive Victorian retractible pencil is hand engraved with flourishes. The central silver band slides up and down; when down it extends the graphite, sliding it up retracts the graphite back into the gold fill case. Graphite not included. Exceptional heirloom jewelry for your collection, curated by Karen Lindner.